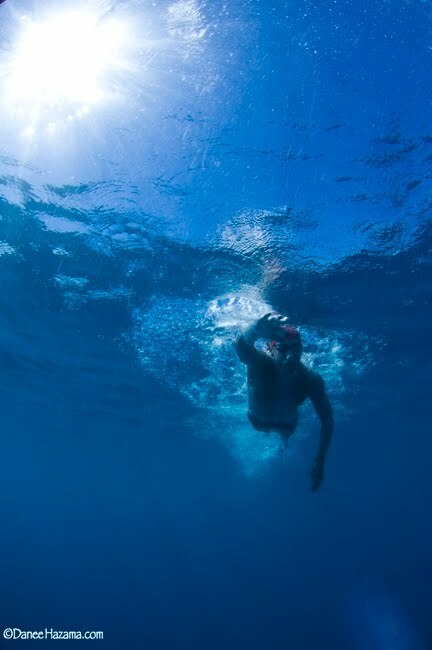 46-year-old American Nathaniel Waring of Tampa, Florida set a world record by swimming the 10.7 miles (17.2K) from Tahiti to Moorea on May 1st, 2010. Nathaniel, recently retired from the travel industry, swam from Punaauia Pass on Tahiti’s West Coast to Vaiare Pass, on Moorea, Tahiti's sister island. The well-traveled Stanford graduate, founder of Cox & Kings USA, the world’s oldest travel company based in India, was escorted by an experienced local crew using a 19-foot Zodiac and a Va’a paddler (a Polynesian outrigger canoe). His time of 4 hours and 57 minutes broke the existing record of 6 hours and 17 minutes set by Cedric Wane in 2009. 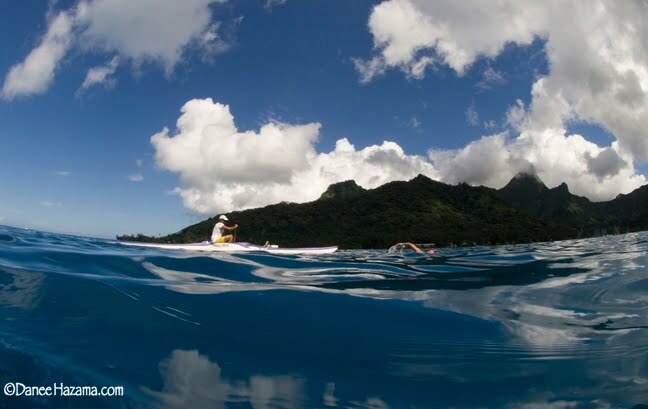 Nathaniel swam from land-to-land, traditional English Channel style, but set the course record by timing himself from the channel marker in Tahiti to the channel marker on Moorea as was done by Cedric and other swimmers.